Once we needed to vacate our table we settled up our respective tabs and headed to the bar attached the venue for a few more drinks – it was great to spot a Deerstock hoody in there! We’d let time run away with us a bit as we noticed the Ferocious Dog intro music kicking in from upstairs, so rushed in straight into a jam-packed mosh-pit still with our layers on and breakables. Oops! I stashed my stuff by one of the monitors, got my photos of the band and then entered the fray with gusto – this was a much busier night in the FD pit than the night before! 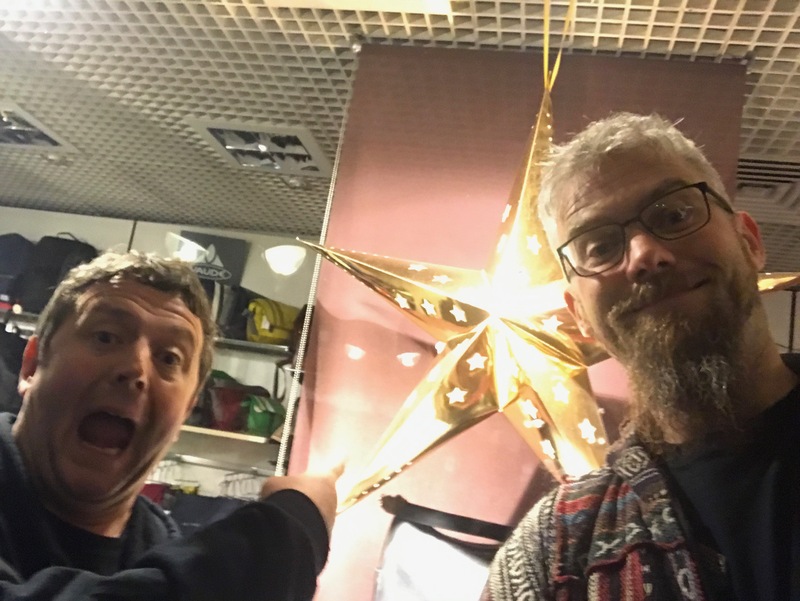 Grammatikoff is another awesome venue – as we dived straight in to a pretty damn full place we didn’t really get much chance to find our bearings before we were flailing around like loons in the mosh pit, but the sound was fantastic and full of appreciative folk both familiar and new to us. The set list was the same from the print out on stage, Gallows Justice, Verse for Lee, The Glass, Lee’s Tune, Unconditional and Too Late but – as promised – the bass-leaden intro to Freeborn John kicked in. Paul was hoisted as the board and Dean was surfer (who else? ), to be fair, we’d had a bit to drink but I fancy the too-many well-meaning leg-grabbers made it all the more tricky for him, but he kept himself upright and it was a cracking spectacle. If you’re going to introduce yourself to some new crowds, what better way to make a lasting impression than having Dean surfing above them? Lyla and Slow Motion Suicide saw more folk on shoulders – during Hell Hounds Dean did the ‘collapsing’ routine during the ‘take me down…’ bit, much to the genuine alarm of three lasses at the front who I think thought he was hurt, I think we managed to reassure them before he was unceremoniously launched to his feet for the dance to continue. Freethinker and Mairi’s Wedding Part 2 finished up a rip-roaring set as before. Absolutely superb, the busier crowd fed more energy to the band who passed it back in spades. 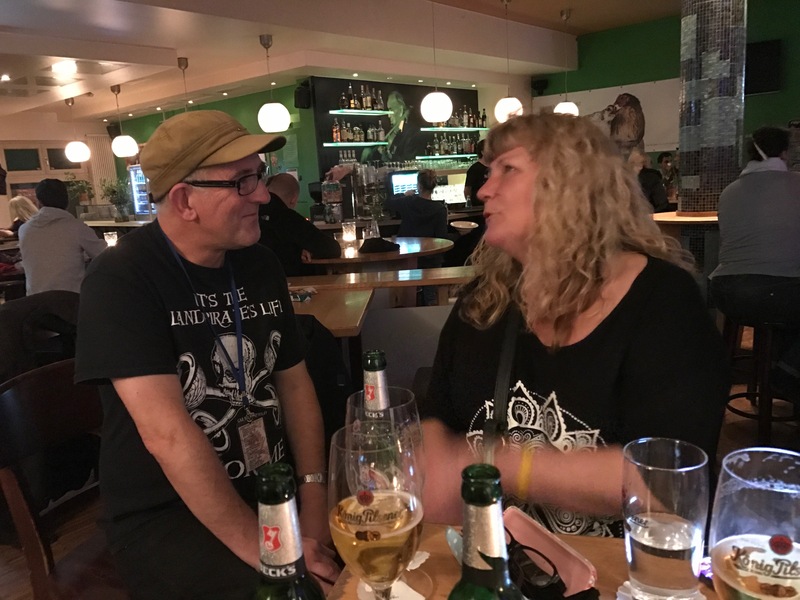 I retrieved my stuff and we retired to the bar downstairs for a sit and drink – and must confess, never made it back up for Levellers. Ordinarily that would seem unthinkable to me, but well, we were having such a nice night, there was some kind of poodle-cross dog in there I’d made friends with, I established I’d left my glasses case on the monitors, Amanda and Stu kindly rescued them for me (the stamp I’d had on my hand was long gone in the mosh pit! ), we spent a fun evening nattering with Les, Scott, John and Dom and enjoying the local drinks (and company). Star Copiers – already clearly popular in Germany! Soon enough we decided to head back to the hotel and hopefully pick up some sustenance on the way – unfortunately we’d timed it pretty badly, the market was closed up and we conspired to find a way back without any late night food shops. We asked a few locals on the way back, they turned out not to be local – one group were ace fun, we chatted for a while they asked if I knew any German swear words and seemed genuinely offended by the one I did (oops! 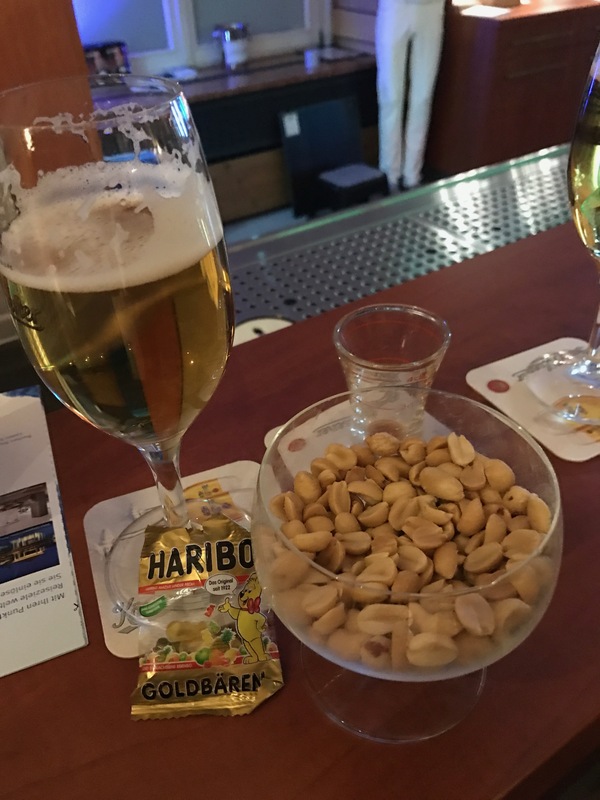 ), eventually we managed to extricate some nuts from the brusque barman in our hotel. I get a bit grumpy when I’m hungry – and it’s fair to say we’d had a fair bit to drink too. I can’t remember what I was talking about but I don’t think I was doing it very quietly and it was amusing Mark, Amanda and Jacquie (they were sat at the bar on bar stools, whilst I’d pulled a low down chair over to them so must have looked pretty comical anyway). Kenny arrived at our hotel and donated Pot Noodles from his bag to me, Mark and Amanda. Dinner, until Kenny rescued us! 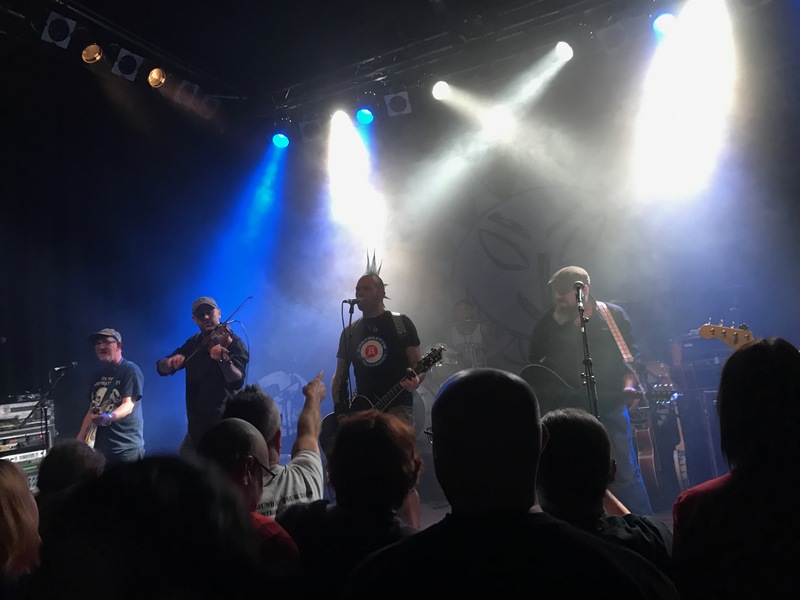 As the stragglers came in from the venue they reported a predictably awesome set from Levellers – which of course is no surprise at all, but it was nice to have had the chance to have a bit of a break and a chance to socialise with folks too. I have little recollection of eating the Pot Noodle, but Deano reckons I certainly enjoyed it – I remain deeply appreciative that he’d thought to put a glass of water by my bed though! What a legend! 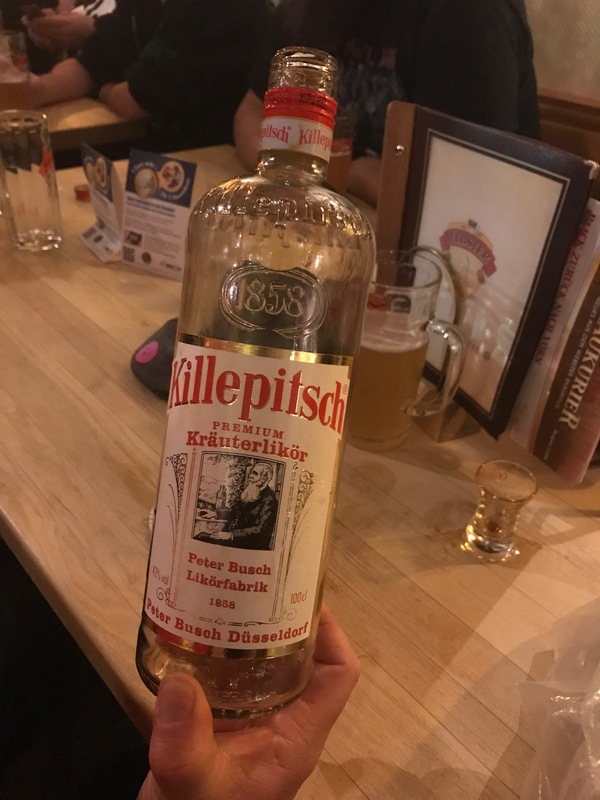 My first time in Germany was certainly memorable (well, the bits I can remember are!) 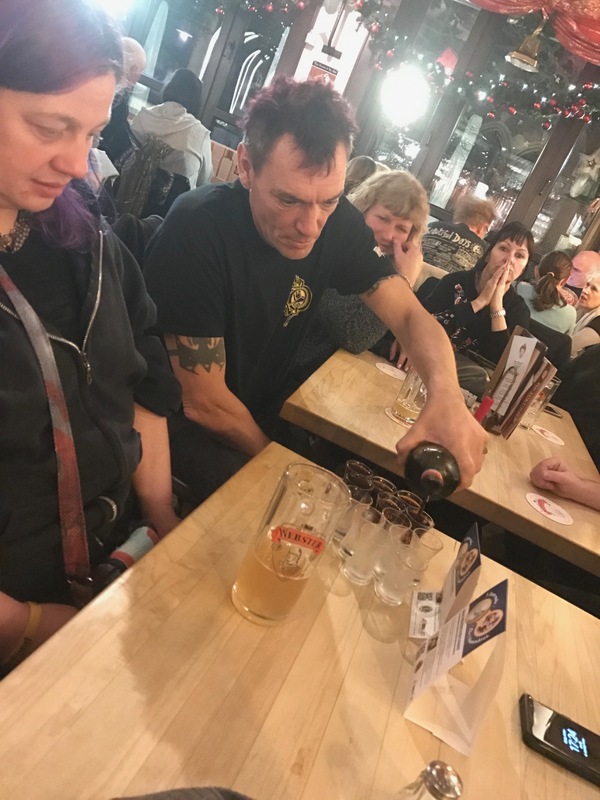 – we had so much fun, again – brusque barman aside – we only encountered wonderfully friendly folk from both back home and from Germany (and probably other places too!). Two dates down, and two places I’d definitely like to revisit with more time to linger, we had an earlier start in the morning as we wanted to get to Amsterdam in good time for a bit of sightseeing – it didn’t seem too daunting a time, until of course we woke up and the hangovers kicked in.. but that’s another story..
As an aside, there’s some ace photos taken by Kevin Winiker you can see just here.